Scoilnet Maps offers a selection of maps and other geographic resources for educators and their students. Online maps and mapping tools available through an educational portal are helping Irish students develop their geospatial thinking skills to learn more about their local communities, world population growth, global climate change, and more. In Ireland, educators recognize the many practical applications of geography and mapping in today’s society. Because geography is part of the national educational curriculum, students there must take courses where they learn how to interpret satellite and aerial photographs, perform spatial data analysis, and understand geographic change over time. To help students meet national curriculum requirements, Ireland’s Department of Education and Skills (DES) added a mapping section to Scoilnet (Schoolnet), the department’s teacher resource portal. DES encourages teachers to integrate technology into their instruction, and the portal makes over 13,000 digital resources and online services available to them. 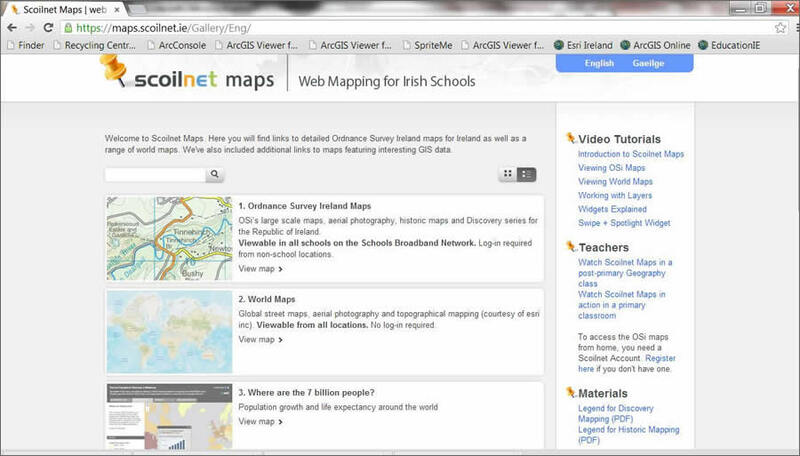 Scoilnet Maps uses Esri technology to serve maps through the Scoilnet portal. Teachers and students can call up aerial maps, topographic maps, and street maps to better understand the world and their local communities. Scoilnet Maps was relaunched in 2012, six months after a similar service was suspended. Though popular with faculty and students, the original service proved to be too expensive and was discontinued after a few years. Recognizing the importance of mapping to the geography requirement in the Irish National Curriculum, Karin Whooley, Scoilnet’s national coordinator, began to research how to include a cost-effective mapping module in the Scoilnet portal. Then she heard about Esri and its technology. 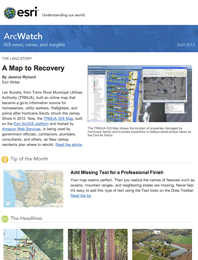 Esri ArcGIS Viewer for Flex is a free, open-source software application designed to make it easy for organizations to create online GIS solutions. Esri Ireland had a pre-existing contract with DES to provide GIS consulting services, so it worked with the Scoilnet team to build a viewer with the content and functionality the teachers needed. Several other government departments and public-sector groups in Ireland already use ArcGIS Viewer for Flex, so the Scoilnet team turned to these organizations for ideas, functions, and data. 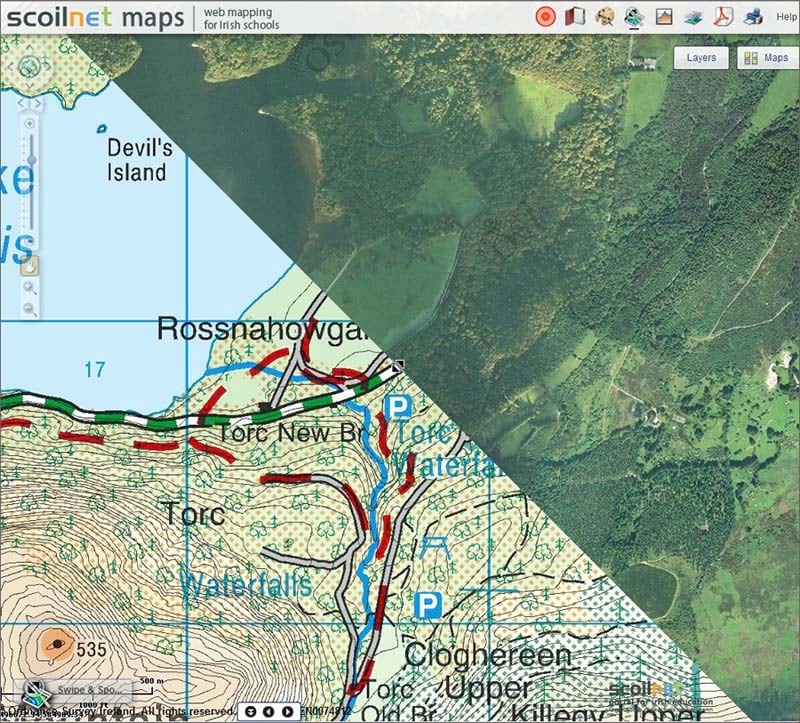 The new Scoilnet Maps service streams maps and images directly from Ordnance Survey Ireland and draws on dozens of free data layers made available by the Department of Environment and other agencies. Faster and more responsive than its predecessor, it delivers teachers and pupils a better experience. More of them are embracing this service than ever before. The mapping portal offers a range of features that support teaching and learning, including spotlight and swipe tools that help teachers highlight locations and compare aerial photos with maps. Teachers can also flip between historical maps to give pupils a visual perspective of changes to the landscape that occur over time. An elevation tool lets the students study map contours, landscapes, and terrain variations. The new Scoilnet Maps service provides an incredible resource for teachers and helps them deliver engaging, imaginative lessons that accelerate learning. The mapping service is highly versatile and intuitive, enabling teachers to use it in a wide variety of ways to help students of all ages learn more about the world in which they live. Watch this video to learn how primary teacher Mark Boggins from Holy Family National School, Rathcoole, uses Scoilnet Maps and other tools to explore social, environmental, and scientific education issues in the local community. Scoilnet Maps is one of the five different station activities used. Others are paper based, while some are information and communications technology (ICT) based. All support the development of mapping concepts and geographic investigation skills. Because it uses Esri ArcGIS software, the mapping application gives pupils the opportunity to experience real-world technology and develop skills that will equip them for adult life. “Our new Scoilnet Maps service enables students to work with technology at the same level as that used in workplaces around the world and gain valuable skills,” Whooley said. 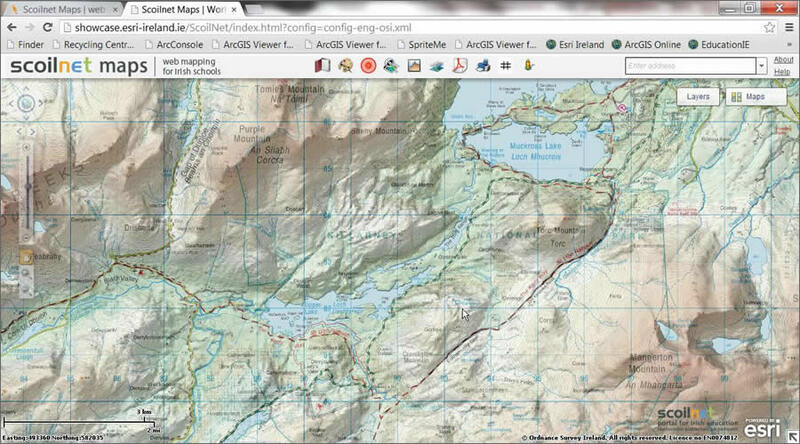 Ordnance Survey Ireland provides Scoilnet with access to its maps. Scoilnet’s previous map service was only available to the country’s 723 second-level schools. The new mapping solution, however, is accessible to all 4,023 of Ireland’s first-level (primary and special) and second-level schools. This means that up to 875,500 young people in Ireland now have the opportunity to develop a deeper understanding of GIS technology and geography. The new solution is also very economical. DES has calculated that it will save more than 200,000 euros per year compared to the previous service. Developed by leveraging the experience of other government departments, the solution represents tremendous value for the money. Joanne McLaughlin is the Marketing Manager for Esri Ireland.